Wicca itself is a comparatively new religion. It is classified as neopagan (or "new" pagan), although it does base many of its beliefs in the old ways. It is however a misconception that Wicca is ancient. It is based in the ancient ways, but Wicca itself was made popular in the 1950's by a man named Gerald Gardner. Before the last of the laws against witchcraft were abolished in England in 1951, anyone considered a witch or any type of Spiritualist was subject to legal ramifications. It is very likely that many of these groups or "covens" met in secret. Gerald Gardner, a retired rubber plantation inspector and amateur anthropologist, claims to have been indoctrinated into the New Forest Coven in 1939. From there, he founded what is known as Wicca. According to Gardner, Wicca was introduced to him during his time with the New Forest Coven. He supported Margaret Murray's claims that Wicca is the surviving practice of the alleged Witch Cult, which is said to predate Christianity. In her book "Witch Cult of Western Europe" (1921) she writes of secret pagan societies that resisted Europe's conversion to Christianity. There are those who say that Wicca is a complete invention of Gardner himself, and the New Forest Coven never existed... but again, if it did, it would have been held in utmost secrecy. The "Witch Cult" has been widely disputed and many today discount the findings in Murray's book. However, in looking at some of the ancient pagan beliefs that do actually predate Judeo/Christian writings, it is plain that Wicca itself is based in these practices. 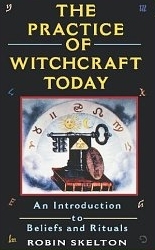 When Gardner wrote his book "Witchcraft Today" in the early 1950's (it was published in 1954), he first and foremost said that witches everywhere wanted people to see that they were not heathens... they were kind, loving, caring individuals who chose to live in harmony with nature and celebrate its bounty and blessings. He said he was limited in what he could reveal due to the sanctity of the covens... but that his book would give more insight than any before it into the truth about witchcraft. He worked closely with Aleister Crowley, although Crowley himself was not Wiccan. Gardner was initiated by Crowley into the Ordo Templi Orientis (the fraternal Order of the Oriental Templars). It is thought that many of Crowley's writings provided Gardner with the information he used for rites of the craft. Gardner continued to write about Wicca with the intent of educating others on its meaning. This included another book entitled "The Meaning of Witchcraft". He formed the Bricket Wood Coven and trained many of its members... including a man named Alexander Sanders. Alexander Sanders was another significant figure in the advent of Wicca. He was trained in the ways Gardner taught as well as self studies of the eclectic traditions of Quaballah (not Jewish Kaballah, although it does get part of its inspiration from there), along with ceremonial magic rituals. He believed that there were two types of magic... left hand path or "black magic" and right hand path or "white magic". Gardenerian and Alexandrian practices are both considered British Traditional Wicca, however, Sanders has been criticized for sensationalizing the craft by many. He encouraged his followers to call him the "King of the Witches". In later years he did apologize for the many wrongs he felt he had done and the bad publicity he had drawn to witchcraft. Zsuzsanna Budapest was the mother of Dianic Wicca, which centers around the worship of the Goddess only. This group was formed in the 1970's in the United States and is generally female oriented, although there are some Dianic Wiccan groups that acknowledge male deities as well. This was very popular during the feminist movement of the 1970's. As with any branch of Wicca, the beliefs are eclectic and left up to the individual. 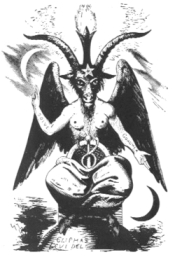 Gardner advocated the duotheistic worship of the Horned God (male) and the Mother Goddess (female, and sometimes called the Triple Goddess). The Horned God represents strength and virility, while the Triple Goddess recognizes the three important stages of a female's life... childhood (maiden) adulthood (mother) and the wisdom of advancing age (crone). However, there are Wiccans who worship multiple gods... and some worship no God head at all. There are some differences with the varied groups that are Wiccan, but some very basic core beliefs are prevalent in all. In Wicca, both male and female have an equal role. There is a balance of power, rather than the woman deferring to the man. In all groups there is a strong respect for Nature (Mother Earth), and the welcoming of the seasons and what they can provide. Sexuality is embraced without shame and with a healthy respect for the body. 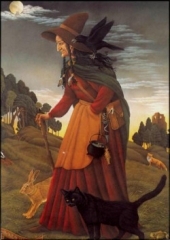 The Wiccan Rede (or rule) is usually attributed to author Lady Gwen Thompson, although it is thought by some she was at the very least inspired by similar writings of Dorothy Valiente. There are several verses in its entirety, with the focus being on the last one... "As ye harm none, do what ye will". There are many symbols of Wicca that are proudly worn by those who practice it. The most popular of these by far is the pentagram, or pentacle, if it is enclosed in a circle. 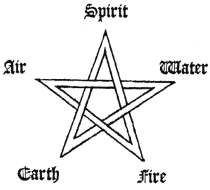 The five points of the pentagram represent the five elements to the Universe, and what is believed needs to be channeled for ritual magic. These are Air, Fire, Water, and Earth with the Spirit, which unites the four as one (Aether). Another popular symbol is the crescent, which is a symbol of the crone, or the aging goddess. The Ankh which is an Ancient Egyptian symbol, is a cross with the top bent into an enclosed teardrop shape symbolizes rebirth, eternal life, and life given from the Sun. There is also a Triple Moon symbol with a full circle having two crescents on either side, facing opposite directions. This represents the female growth cycle of maiden, mother, and crone. The Moon, Sun, Earth, and all the planets in the Universe are equally respected and revered, with special attention paid to cycles of the Moon and its connection to fertility. Many of these symbols are used on the cover of a coven's Book of Shadows. The Book itself is either held by the High Priestess or High Priest of a coven or in more eclectic practices, by the individual themselves. It contains rituals, spells, incantations and protections, and is held with the highest regard and respect. Magic (or as it is sometimes spelled, magick) is ideally applied by Wiccans to combine the power of nature with the spoken word for the benefit of all. There are spells for healing and protection, as well as for guidance and wisdom. Magic is intended to be used with caution and reverence toward the greater good... and never for strictly personal gain. The important thing to remember is that anything that is put forth will come back. 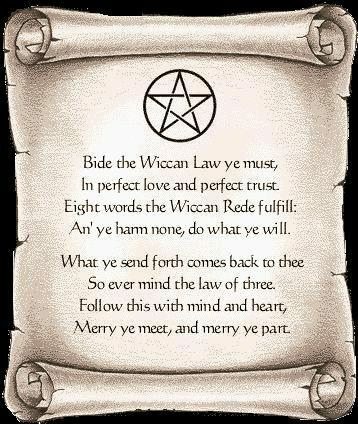 The general belief of Wicca is that any spell or energy cast will be returned to the giver times three... so positive will begat more positive, and negative will begat more negative. Most spells are for healing and protection. When moving into a new home it is a common practice of those who follow Wicca to place a broom or broom straws in doorways to keep negative from entering the rooms. The broom itself is thought to "sweep away" the negative, thus keeping the room protected. When someone is ill, healing herbs will be prepared for them, along with incantations of positive and inspirational words. Imbolc (February 1, although according to the Old Calender it is February 12) This is in honor of the early signs of spring and is Gaelic in origin. It is celebrated by rituals of rededication and pledging to continue glorifying the Earth. Beltaine (May 1) This celebrates the beginning of the working summer season and the grazing of livestock. It is celebrated with lighting bonfires and hanging boughs on doorways, as well as dances around the May Pole. Lughnasadh (August 1) This is in honor of the beginning of the harvest season when fruits, vegetables, and grains are ready for gathering. This is celebrated by gathering family together and is often a time for any handfastings that are to be done. Handfastings are trial marriages, where the couple has their hands bound together in a ceremony which has the option to end in one year and one day. At that point, a more permanent marriage ceremony is performed. 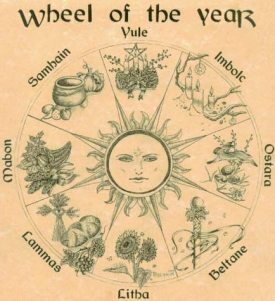 The Lesser Sabbats are Yule (December 21, for the winter solstice), Ostara (March 21, for the spring equinox), Midsummer (June 21, for the summer solstice), and Mabon (September 21, for the autumn equinox). These represent times of rebirth and balance. Wicca has had its share of misconceptions and controversy. Many believe it is the same as Satanism or demonic worship, which couldn't be further from the truth. It is about spreading love and light as well as replenishing and respecting the Earth. It is about looking into one's self and truly owning and taking responsibility for actions and words. Covens are like second families, with great love and emphasis on fellowship. They greet one another with "Merry Meet" and invoke "Blessed Be", which spreads positive energy for the meeting and blessings for those present. Wicca is about harming none... and still being empowered. Most importantly, it is about self acceptance, and self awareness. A few lessons could be learned by ALL religions from this. I just wanted to thank you for informing the public about the facts about Wicca and Witchcraft. I am so tired of hearing how evil it is from people who don't know what they're talking about. Your site not only set out the basics without going into depth on private matters, but you have allowed the facts to represent themselves. This allows for an interesting article, don't you think?